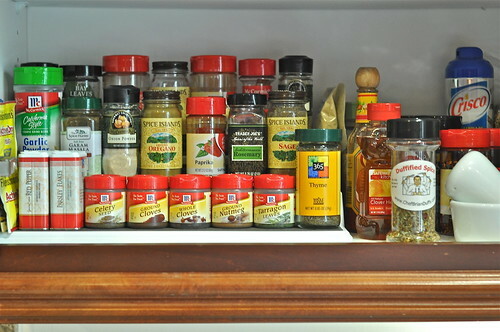 That’s my spice cabinet. It’s alphabetized now. 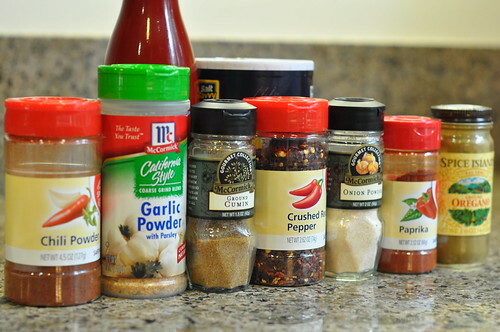 And with a newly-organized rack of spices, I thought I’d give this homemade taco seasoning a try. I’ve seen the recipe circulating the interwebs for a few months now. It’s basically a healthier (i.e. 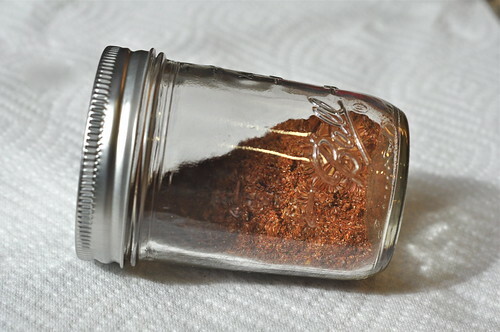 MSG-less, preservative-free, and way lower sodium) alternative to the taco seasoning packets you buy at the grocery store. Mix it up in advance and you’re all set for another Easiest Dinner Ever. Just brown a package of ground beef or turkey in a skillet, add 2-3 Tablespoons of this seasoning along with 3/4 Cup of liquid (water, chicken broth, or even beer), and simmer it until most of the liquid has cooked out. Spoon the mixture into tortillas and top with lettuce, shredded cheese, and some salsa and you have some seriously simple, even-better-than-Taco-Bell tacos. Yumma. Heat a large heavy skillet over medium-high heat. Add canola oil, then ground meat. Cook until thoroughly browned. Drain off any excess fat. (This generally is not necessary with lean meat.) 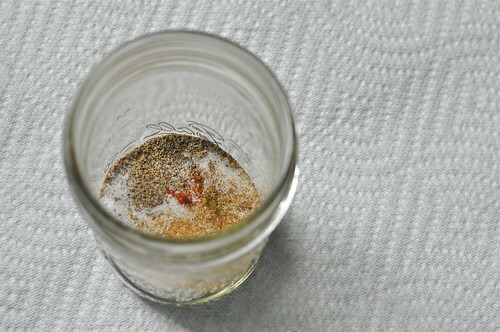 Stir in taco seasoning, then add liquid. Bring liquid to a boil, then reduce heat to a simmer and cook uncovered until most of the liquid has cooked out. Spoon mixture into tortillas and top with cheese, lettuce, and salsa. Glad you liked the seasoning!